French Quarter Duet , an original painting by Upper School Visual Arts Chair Scott Boles, was recently accepted for the 2018 National Art Education Association ( NAEA) Member Exhibition that will be showcased in the NAEA Studio & Gallery from October 1, 2018, through January 4, 2019. The mixed-media painting that Boles submitted is part of a series of more than 300 paintings of the French Quarter that he has created over the past 15 years. Boles has a long connection with New Orleans, as his wife Jane was born there and they visit several times each year. After Hurricane Katrina, he began donating a portion of his sales, raising over $3000 to help build houses in the devastated Ninth Ward. 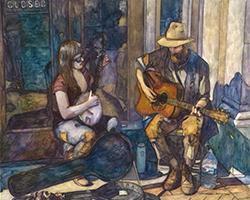 "My paintings are a way to help a city that I know and love," said Boles. Of the 386 submissions for the exhibit, only 62 were selected for gallery display by the panel of six arts leaders. Located minutes from Washington, D.C. in arts-rich Old Town Alexandria, Virginia, the NAEA Studio & Gallery showcases outstanding artwork created by visual arts education professionals, highlighting the artistic skill and vision of members worldwide. Founded in 1947, the National Art Education Association is the leading professional membership organization exclusively for visual arts educators. The organization invests in innovative initiatives to support instructional practice, research, and leadership in visual arts education. Lakehill's youngest Warriors have been busy since school began. On August 28, in conjunction with their studies of colors and shapes, they visited the Museum of Geometric and MADI Art, enjoying the collection and creating amazing pieces of their own. On September 5, kindergartners were joined by their parents for a special Pastries for Parents event. Moms and dads enjoyed seeing some of the kindergartners' work, lending a hand with their All About Me projects, and having breakfast with their children in the classroom. Lakehill's Parent Faculty Club (PFC) will hold four General Meetings during the 2018-19 school year. All parents and guardians are encouraged to attend. Meetings will be held on September 14, November 9, February 14, and May 16, at 8:15 a.m. in the Lydia and James Perry Community Room. Make plans to attend the first meeting and find out more about the big things going on at Lakehill! 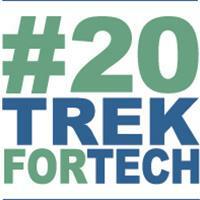 The 20th annual Trek for Tech is just around the corner! Trek for Tech is the school's main fundraiser for technology needs, and the committee is hard at work to make this the best year yet. 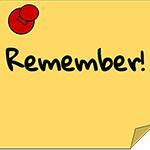 This year's event will be held on Saturday, November 3. There will be an official Trek t-shirt, the Pasta Lunch on Friday, and great raffle prizes! Sponsors are needed for the raffle prizes. If interested, please contact John P. Owen at 214-923-2470 or johnpowen@icloud.com . Start training for the race today! 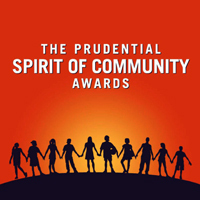 Students in grades 5 - 12 who have made a difference by volunteering in their community over the past year could win $1,000 and a fabulous trip to Washington, D.C. next May by applying for a Prudential Spirit of Community Award. Even more importantly, they could win recognition that might inspire other people to follow their example. To apply, visit http://spirit.prudential.com, click on the "How to Apply" link, and follow the on-screen instructions. Once you have completed your online application, go to the "Certification" page to either e-mail certification instructions to Ms. Ekstrom, or to print them out and hand deliver them to her. This must be done by November 6, 2018. The Awards Committee will then select a Local Honoree for both Middle School and Upper School and nominate them for state-level judging. For more information, please see Ms. Ekstrom. Middle School recently elected its class officers for the 2018-19 school year. 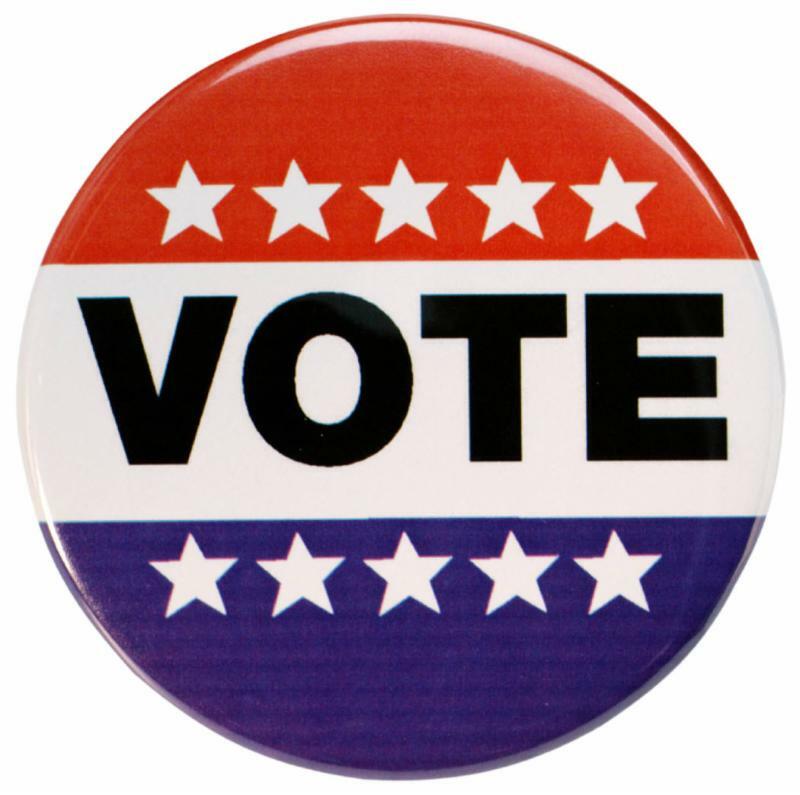 Eighth grade officers are Jeremiah Blanco, President; Taylor Gardsbane, Vice President; Kayla Ristianto, Secretary; Ellis Meyer, Treasurer; and Donovan Covarrubias and Avery Owen, Student Council Representatives. The Class also elected a Decorating Committee: Ristianto, Suhani Singh, Katie Rich, Megan Blomquist, Mars Henderson, Emory Johnston, and Cali Byrd. Seventh grade officers are Taylor Lewis , President; Olivia Johnston , Vice President; Sarah Ganson , Secretary; Reese Armentrout , Treasurer; and Sydney Nguyen and Victoria Bell, Student Council Representatives. Sixth grade officers are Maeve Smith, President; Austin Rutherford, Vice President; Ally Therivel, Secretary/Treasurer; and Brendan Baum and Ryan Motes, Student Council Representatives. Fifth grade officers are Andrew Knipp, President; Elisa Haden, Vice President; Mason Pedroza, Secretary; Cece Degeyter, Treasurer; and Clio Byrd and Ian Johnston, Student Council Representatives. Congratulations to these Middle School class leaders! Upper School also elected class officers for the 2018-19 school year. Junior Class officers are Zoe Herrman, President; Haley Lopez, Vice President; Lynley Waggoner, Secretary; and Elizabeth Blanchard, Treasurer. Sophomore Class officers are Johnny Hirata, President; Owen Liu, Vice President; Michelle Reed, Secretary; and Emerson Danamraj, Treasurer. Freshman Class officers are Madison Deason, President; Megan Gillman, Vice President; Graysen Walker, Secretary; Sumner Born, Treasurer, and Sydney Rutherford, Student Council Representative. Congratulations to these Upper School leaders! The National Honor Society (NHS), sponsored by Elizabeth Schmitt and Michael Jones, and the National Junior Honor Society (NJHS), sponsored by Sue Blanchette and Bradley Neyland, recently elected their officers for the 2018-19 school year. NHS officers are Kate Langley, President; Montgomery Rotellini, Vice President; Claire Howard, Secretary; and Ryan Douglas, Treasurer. NJHS Officers are Mitchell Crow, President; Henry Hopkins, Vice-President; Madison Deason, Secretary; Prahlad Pant, Treasurer; and Megan Gillman, Historian. 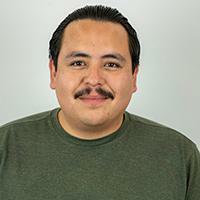 Lakehill Preparatory School welcomes Jaime Carrillo as the new Facilities Manager. Originally from Durango, Mexico, Carrillo immigrated to Rockville, Maryland, in 1998, moving to Dallas two years later to be close to family. Carillo attended Bryan Adams High School. He studied at the Construction Education Foundation (CEF) of North Lake College and took classes for Commercial HVAC Systems I, II, and III and also received his Universal Technician Certification. 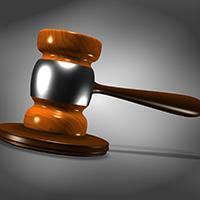 Carrillo has more than 14 years of experience in his field. Prior to accepting the job at Lakehill, he was the Chief Building Engineer for Triad, a third-party company that manages two of DART's buildings. Carrillo and his wife have three boys, ages 11, nine, and two. His wife, a school teacher, is staying at home to take care of their youngest son, but plans to return to teaching. In their spare time, Carrillo and his family love to travel, with favorite destinations including Florida, Colorado, and New York. They also enjoy camping and fishing, having visited numerous National Parks, including Sequoya, Yosemite, Arches, and the Grand Canyon. "I love to spend time with my family and friends," Carrillo says. Carrillo believes in giving his best to everything that he does. "The best advice I ever received was to never compare myself to anyone else and to always work to improve myself." 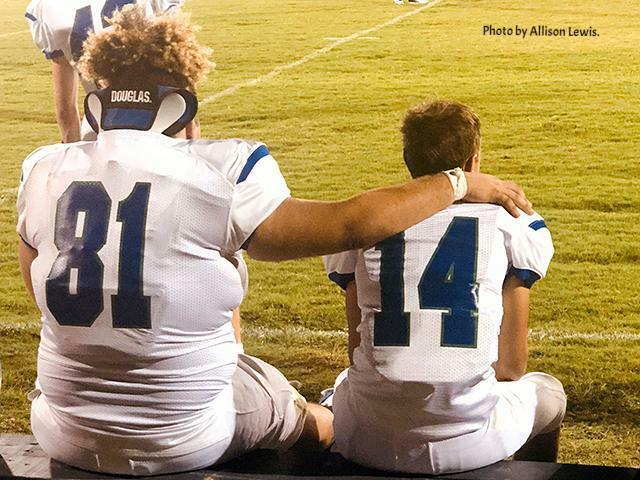 "Lakehill is a small school that really feels like a family. Everyone is special here." Your Gift Matters. Make a #BigImpact. Mark your calendar! 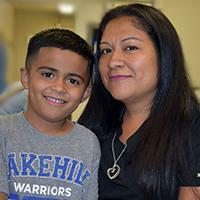 On Thursday, September 20, your gift will go further when you donate through North Texas Giving Day. Make a #BigImpact when you support the Lakehill Annual Fund Campaign. Tuition only covers part of the cost of a Lakehill education. Through the Annual Fund, we are able to ensure our teachers have access to the latest training and supplies. Students are able to choose from a diverse variety of extracurricular activities, and interactive, community-building events for students are possible, such as Bunny Games and Fall Day Out. Schedule your gift starting September 10, to beat the rush. Interested in getting friends and family to support Lakehill? Create a FUNdraising page and share it via social media on the big day. The JV Volleyball team lost to a tough Ovilla Christian team last Thursday before taking on Bracken Christian in Bulverde the next day. Liz Blanchard, Graysen Walker, and Brooklynn Williams led the way with strong serving efforts. The team fought hard, but eventually lost the deciding third set, 14-16. The girls bounced back by beating Heritage Christian Academy in the district opener of the season in another exciting three-set match. The team is back in action tonight at 4:00 p.m. against Irving the Highlands. The Varsity Volleyball team traveled to Ovilla on August 30, to take on the top-ranked 2A team. The Lady Warriors battled until the end, but eventually lost in four sets. The girls regrouped and beat Bracken Christian the next day in straight sets. The team was led by Tyler McCall with seven aces and six digs. Setters Jourdyn Owens had 19 assists and Krista Carlson had 11, along with nine digs. After the long weekend, district play opened with the state-ranked Rockwall Heritage. It was a back-and-forth battle for two hours until the Warriors came out on top in the fifth and deciding set, 15-7. 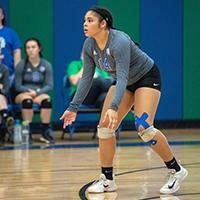 Maddie Cerda led the way with 17 kills on the night. The team will take on another state-ranked district rival in Irving the Highlands on September 6, at 5:00 p.m., before playing a non-district home game September 11, against Colleyville Covenant. The Middle School Blue and Green Volleyball teams took on Greenville Christian on the road on September 4. The Blue team won their match (25-20, 25-23). It was a close game, but they were led by Emma Hoffman with her consistent serves. This was their first game of the season. The Green team went all the way to three games, winning the first game of the set, but losing the last two (25-15, 20-25, 9-15). Jade Stephens led the Green team with her consistent serves, and the girls fought hard. "I am so proud of these teams," said Head Coach Alisyn Schreiber. "Many of these young ladies have never played volleyball before, or have had limited experience." 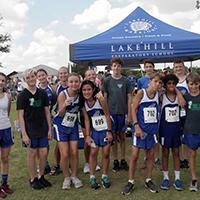 Lakehill’s Varsity and Middle School Cross Country teams competed in their second meet of the season on September 1, at the BBU Patriot/Orville Rogers XC Opener at the Mansfield Sports Complex. Fifteen private schools from around the DFW area competed in sunny, warm, and extremely muggy conditions. The Junior Varsity Boys Division featured 139 runners. This week the boys Cullen McCaleb was the first Warrior to finish the 5K (3.107 miles) race, followed by classmate Blake Perry . Next on the course were the Middle School Boys with 124 runners. Ellis Meyer and Maxwell Byrd finished first and second for the Lakehill team i n the 3K (1.864 miles) race, followed by Arthur Cirillo , Hudson Welch , Vivek Patel , and Roman Gracia . In the Middle School Girls Division, a 3K race with 104 runners, Blake Bied and Avery Owen finished first and second, respectively, for the Warriors, followed by Cali Byrd , Hannah Reister , Sydney Nguyen , and Ellis Langford . "I am so proud of all of our runners," said Coach Karen Owen . " They have been training hard since the summer and are improving every week with better stamina and faster race times. I am excited to see how much more they will improve as we progress through the season." The Warriors will take a break this weekend and then compete in the Molina – 12 th Annual Garey Horner Invitational at Jesse Owens Memorial Complex. 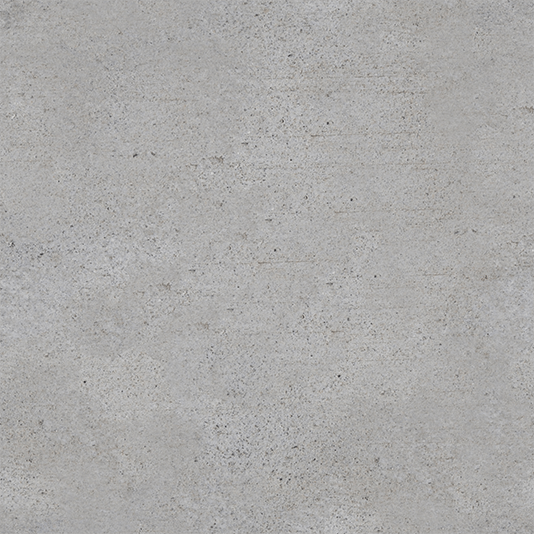 See results from the meet. See pictures from the meet by Sejal Patel. The Lakehill Warrior Football team traveled to Bulverde to take on Bracken Christian School on August 31. Bracken is the #1 ranked team in the state in TAPPS 2A. The Warriors played hard, but were defeated, 80-32. The Warriors were led by Ryan Henry 's three touchdowns and one by senior Ben Palmer . Quarterback Nathan Lewis threw two of the touchdown passes to Henry. The Warriors are at home on Friday night at 7:00 p.m. against Savoy. A special thanks to the Andreason family and Rudolph's Meat Market and Sausage Factory for donating the meat for the home football games this season! Show your Warrior Spirit and get into all the home volleyball or football games. One pass is good for admission to all home games for the entire family. A Volleyball pass is $100 and a Football pass is $60. Contact Michelle Crow to purchase your pass. The Spirit Shop is open for business, with great new styles and classic favorites so you can show your Warrior spirit! The Spirit Shop will be open on Monday and Wednesday mornings from 7:45-8:45 a.m. and Monday, Thursday, and Friday afternoons from 2:45-3:45 p.m. A pop-up Spirit Shop will be open at the Tailgate game. 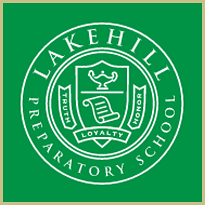 Lakehill Open House for current parents, 7:00 p.m.
Current Lakehill families are invited to visit with their children's teachers and learn more about opportunities and expectations for the coming year. Please note: This is a parents-only event. Southern Cross Ranch, 10:00 a.m. - 2:00 p.m.
Upper School students and teachers enjoy getting to know each other away from school during this annual tradition with sand volleyball, swimming, pedal boats, rock climbing, a Bar-B-Que lunch, and more. All Upper School parents and guardians must complete on online waiver for their child. Shoreline Spruce-Up at White Rock Lake, 9:00 - 10:30 a.m.
Join the Warrior Outreach Organization (WOO) at Lakehill's adopted shoreline at White Rock Lake to help clean up this neighborhood treasure. Meet at the parking lot at W. Lawther and Chapel Hill. All supplies will be available. Breakfast will be provided. Please dress nicely. Boys in Middle and Upper School should wear a dress shirt, tie, and jacket. Girls in Middle and Upper School should wear a nice top with skirt or slacks or a dress. Class pictures (full length) and individual headshots will be taken. Families will the option to order online or to bring back a check with the order form. If you order online, you do not need to bring back the form. Parent Faculty Club (PFC) General Meeting, 8:15 a.m.
Join the Lakehill Parent Faculty Club (PFC) for their first general meeting of the year. Meet the officers and committee chairs, get to know other parents, and find out how you can get involved at Lakehill! Want to volunteer? Find out more and sign up . 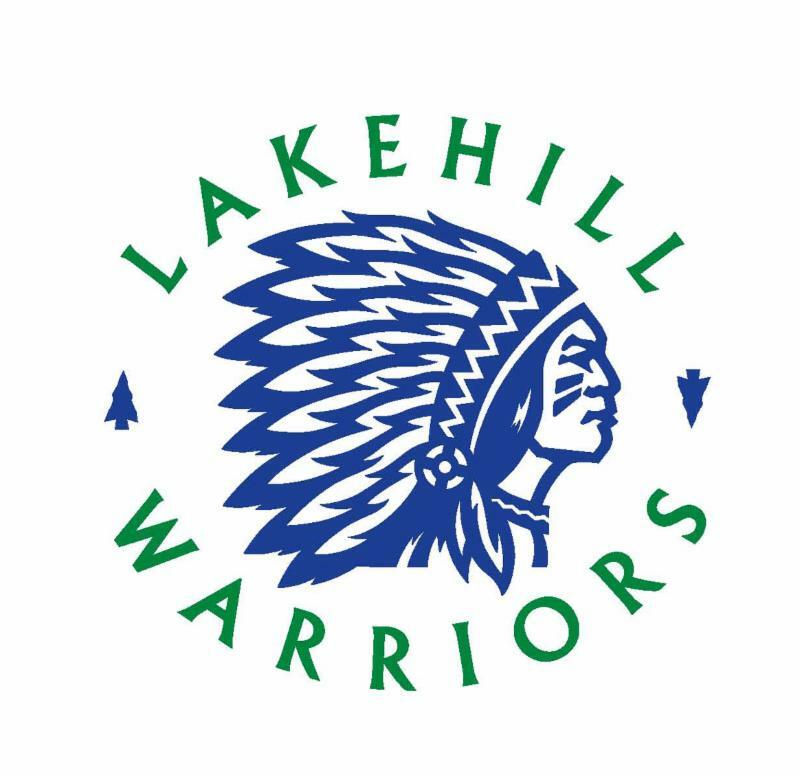 Students and faculty are invited to wear their jeans every Friday of the school year with a Lakehill shirt to show their Warrior Spirit. Don't miss out on the first Pep Rally of the year on September 14, from 1:40 - 2:05 p.m. Then head to the Warrior Athletic Complex as the Varsity Warriors take on Fairhill. Enjoy the annual Tailgate Party at 6:00 p.m. before the game with hot dogs provided by the PFC and other refreshments available at the concession stand as we cheer the Warriors on to victory. 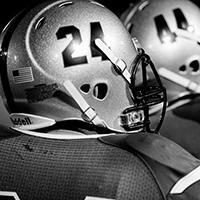 Kick-off is set for 7:00 p.m. Go Warriors! Upper School Volunteer Fair, 10:45 - 11:15 a.m. Learn more about volunteer opportunities in our community! Parents are invited to join in the fun when this award-winning author visits Lakehill! Cafeteria, 7:00 - 8:30 p.m.